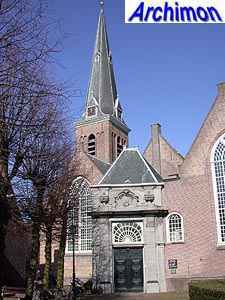 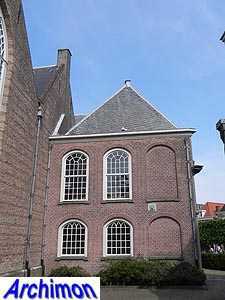 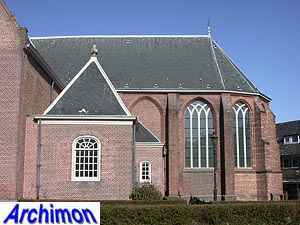 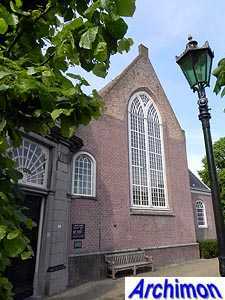 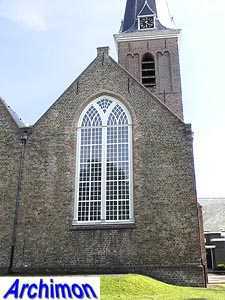 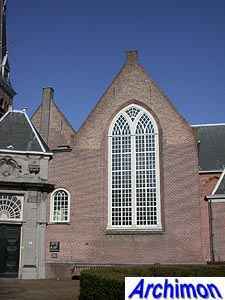 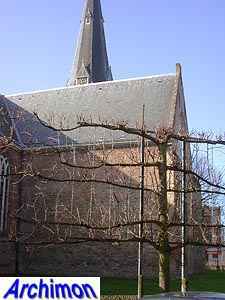 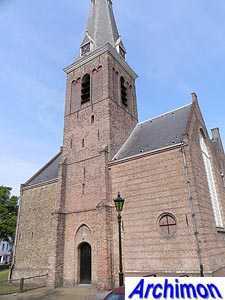 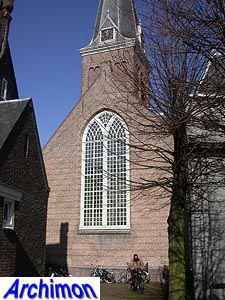 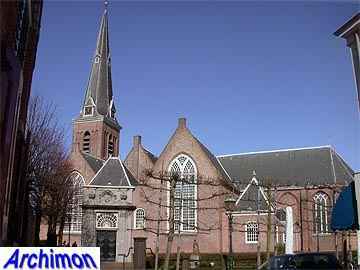 The history of the reformed church of Voorburg started early in the 13th century, when a small one-aisled church was built, possibly the successor of a wooden chapel. 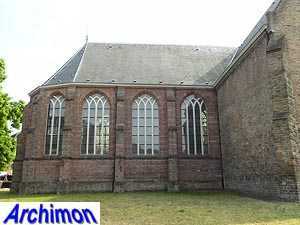 No further details of this early church are known. 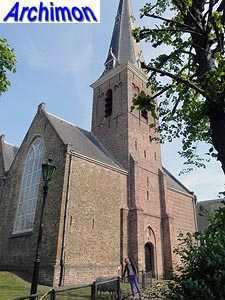 The oldest part of the current church is the tower, which dates from the 14th century. 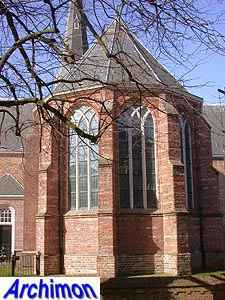 Originally it was crowned by a brick spire, part of which still exists underneath the current spire. 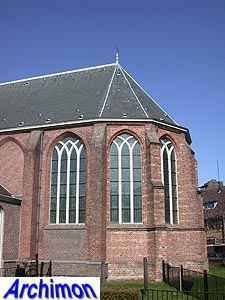 The late-Gothic choir was built in the late-15th century, followed by the nave and the transept in c. 1511. 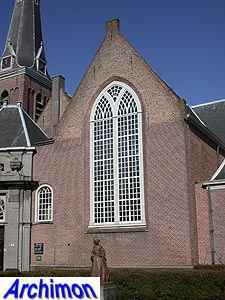 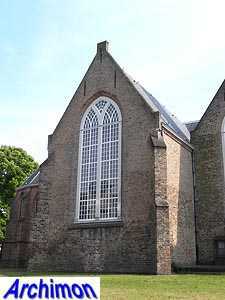 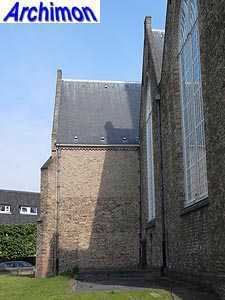 The construction of the nave followed the example of the St. Jacob in Den Haag; the side-aisles are as high as the main aisle and have gables each with their own roofs square on that of the nave. 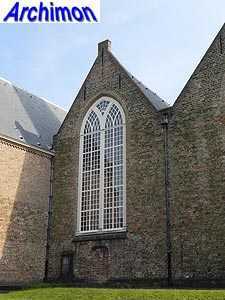 This way, the side-aisles could have large windows while extra pillars inside were not needed. 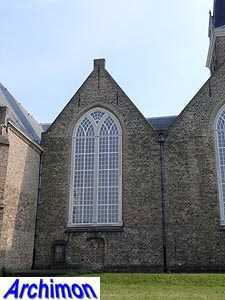 In c. 1750 a portal and consistory in Louis XIV-style were added to the south side of the second trave of the nave. 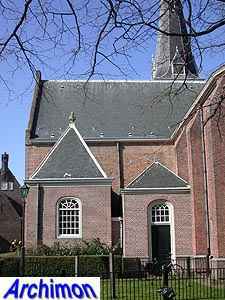 In the corner between the choir and the southern transept-arm a mausoleum and sacristy had been built in 1705, which were modernised at the end of that century. 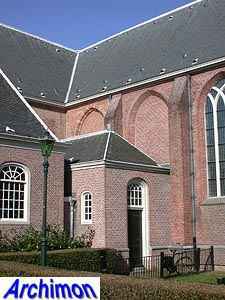 The church was restored in 1964-1967 and the entrance to the tower reconstructed.